He is a principal at Wetlands & Ecology. Inc. He earned his B.S. Biology /Ecology Concentration from West Chester University, and has been working as a consulting ecologist for more than 30 yrs. His professional certifications include Ecological Designer, Professional Wetland Scientist, Habitat Evaluation Procedures, and Wetland Evaluation Technique. Specialized training completed include: Master Watershed Steward Training from the Penn State Extension; and Low Impact Development and Stormwater Management from the Pennsylvania Department of Environmental Protection. In April 2018, Derron’s work as the lead designer of green stormwater infrastructure project that was recognized by the Sustainable Business Network of Greater Philadelphia and the Green Stormwater Infrastructure Partnership with an Excellence in Green Stormwater Infrastructure (GSI) award for a Private Project. Derron has completed six other GSI projects in the Pennypack Creek watershed over the past 12 years. 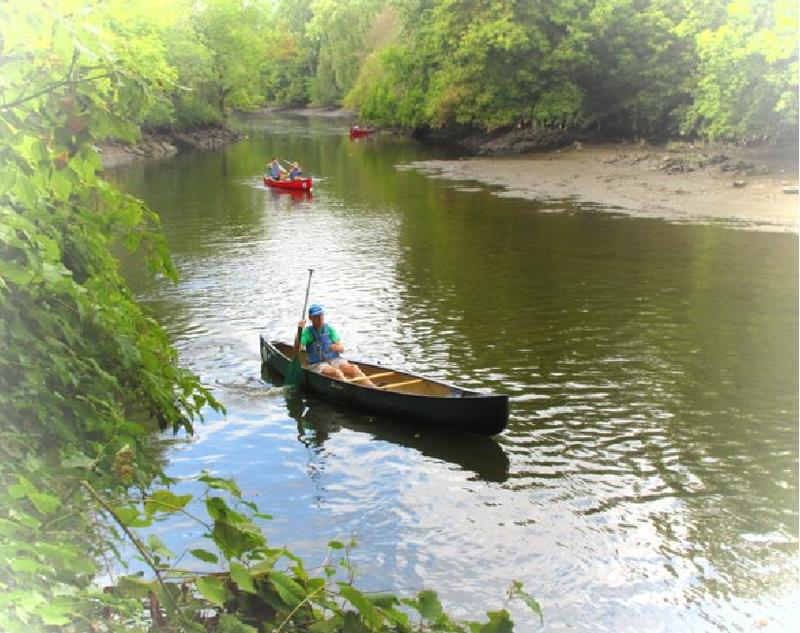 He is an active member of the Delaware River Watershed Initiative’s Upstream Suburban Philadelphia Cluster, which is funded in part by the William Penn Foundation (WPF) to engage and educate the public about water quality. He has been the monitoring lead for Cobbs Creek in this project since 2014. Kate edits The Valley, the quarterly newsletter of the Darby Creek Valley Association. Kate is an associate professor at Ursinus College where she teaches freshwater biology, biological oceanography, and other courses. She and her research students at Ursinus College study the effects of pollution and habitat modification on the fish and invertebrates of the Darby Creek Watershed. Experienced leader with a history of working in the Nonprofit and science industries. Skilled in Nonprofit Organization, management, marketing , finance and fundraising. Susan has a Masters in Non-profit Organizational Management from Eastern University and a B.S. in Biology/Marine Biology from Long Island University, Southampton. 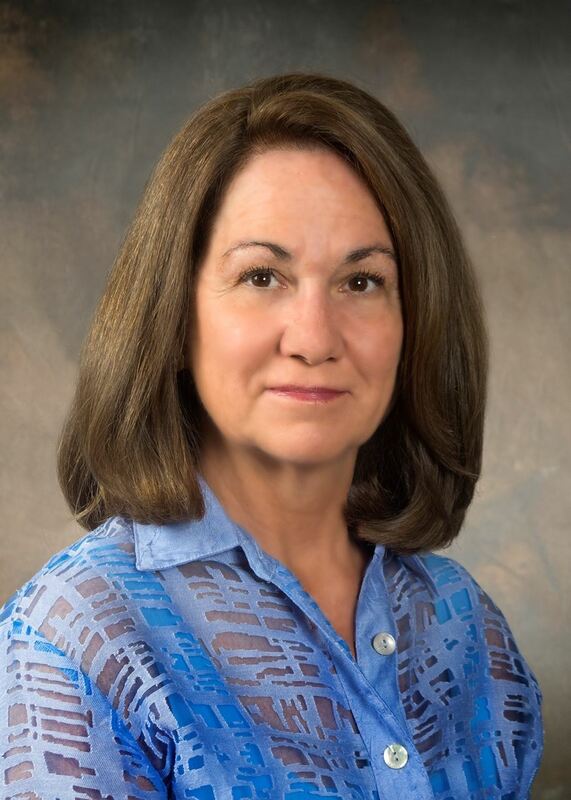 Susan has years of experience in management and in the environmental field, and has managed geotechnical soil laboratories and a medical neurovirology research lab. Susan has been volunteering with Natural Lands, Force of Nature for numerous years. Jamie Anderson has a BS in Environmental Science and an MA in Geography and Planning. She has always had a keen interest in nature in particular water quality from growing up across the street from Little Crum Creek. 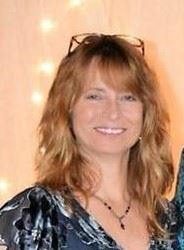 Jamie currently resides in the Darby Creek and has professional experience in environmental planning, water resource conservation, and the MS4 program. Her activities in DCVA focus on education and outreach initiative as well as supporting the expansion of riparian plantings along Darby Creek and its tributaries. She has been very active in building rain gardens and giving rain barrel workshops. Jamie is also the coordinator for the Eastern Delaware County Stormwater Collaborative. 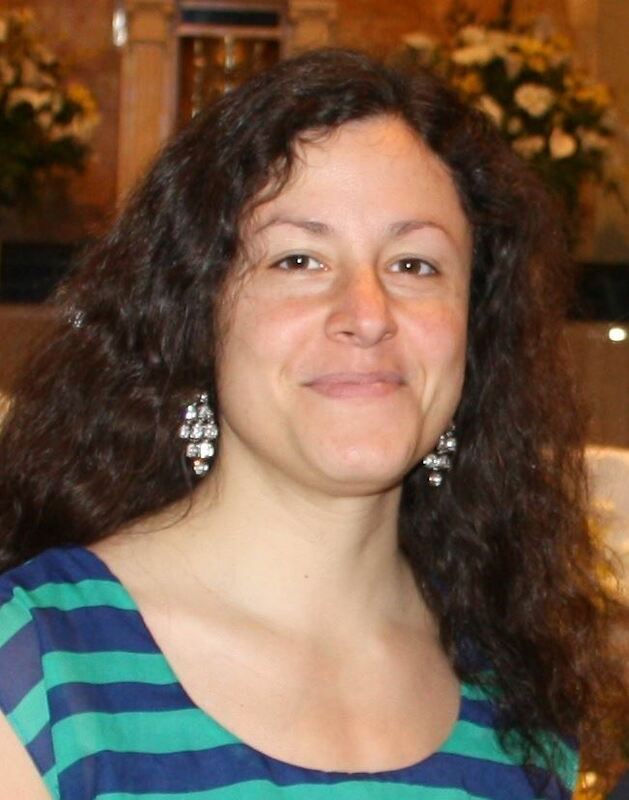 Marissa Barletta- Marissa is a city planner with expertise in municipal Clean Water Act related regulatory compliance, stormwater management, and green stormwater infrastructure planning, siting, and project leveraging. She has spent the past 15+ years as a consultant to the Philadelphia Water Department supporting their integrated watershed management planning process (which includes the Darby-Cobbs watershed) and the City’s Green City, Clean Waters plan. M.S. in Community and Regional Planning from Temple University, 2006 and a B.A. in Political Science and International Relations from Ursinus College, 2001. David Bennett- born in and grew up in Lansdowne and still live on Darby Creek for past 68 years. David became active with DCVA around the year 2000 and soon joined the Board of Directors. I have been serving as the liaison to Lansdowne Borough as well as the DCVA representative to the Circuit Coalition. David was the chairperson of the Annual Darby Creek/Cobbs Creek Watershed Wide Cleanup for the years 2016, 2017, and 2018. During that time we expanded our number of sites to include 2 areas in Philadelphia, one in Montgomery County, and several in Delaware County. Tim Denny became a member of DCVA in 1992 after helping with the Darby Creek Cleanup for several years.Tim also serves as the Director of Parks and Recreation in Haverford Township. In that role he was instrumental in the 14 year effort to transform the former Haverford State Hospital grounds into the current Haverford Reserve and the LEED certified Community Recreation and Environmental Center ( CREC) which opened in 2012. DCVA played a pivotal role in administering the grant from the NFWF which Haverford Township acquired for the ecological inventory of the 209 acre site, which is adjacent to Darby Creek and critical to the watershed. Tim Devaney has been involved with DCVA for many many years. He has a Bachelor of Fine Art. He studied Botany and Ornamental Horticulture at Arboretum of the Barnes Foundation. Tim is an International Society of Arboriculture Certified Arborist and PHS Tree Tender. Tim drafted the Historic District Ordinance and Shade Tree Commission Ordinance, both codified into law for Borough of Ridley Park. He also established a non-profit tree growing project funded in part by the National Tree Trust utilizing advanced growing techniques to provide tree species native to Pennsylvania for public lands. Kate Goddard Doms edits The Valley, the quarterly newsletter of the Darby Creek Valley Association. Kate is an associate professor at Ursinus College where she teaches freshwater biology, biological oceanography, and other courses. 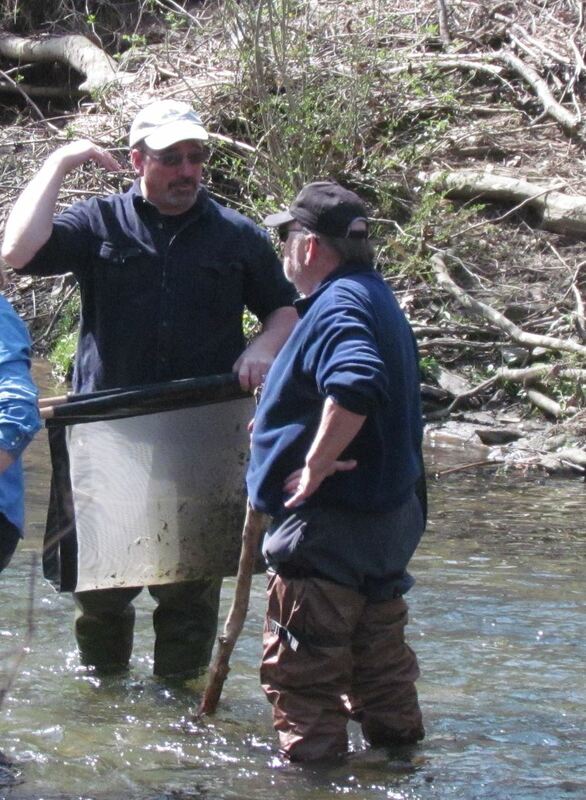 She and her research students at Ursinus College study the effects of pollution and habitat modification on the fish and invertebrates of the Darby Creek Watershed. Clyde Hunt 35 years ago that a call went out to start a watershed-wide group for the Darby Creek. U.S. Representative Robert Edgar planned to assist an organizational meeting. Clyde and Gila attended the breakfast meeting at a Wm. Penn District School eager to do somethings locally. We learned on that Saturday morning, that Repr. Edgar had promised a vote for that morning in Washington. The overwhelming comment was... “Lets eat! We can start our own association.” And so most all attendees agreed that our stream now had its own sponsor. Clyde was the President for DCVA for 10 years. Clyde is DCVA’s tree expert! He is in charge of tree planting for DCVA throughout the watershed.He received the Point of Light award in 1991, The DCVA Ribbon of Green Award in 1997, and shared the DCVA Lifetime Service Award with his wife Gisela in 2009. Barbarann Keffer First stumbled upon the DCVA in a local paper’s press release seeking volunteers to head clean-up sites in the watershed. That was in 2007 and she has been captaining sites ever since. Encouraged by founding members John Furth and Clyde Hunt, Barbarann has served on the Board since 2008. She lives in Upper Darby Township where she also serves on Township Council. Rosemary Kesling is a founding member of DCVA and has been a member of the board since the organization's inception. She edited the newsletter for many years and now maintains the membership database as well as soliciting member renewals every year. She received a B.A. from Creighton University in 1966 and a M.A. in English from the University of Iowa in 1969. She worked for many years for the Pennsylvania Resources Council doing environmental education. Gerry Krieg has been a DCVA board member since 2013. He has worked as a cartographer since the mid-90's, having received an M.A. in Geography from Temple University. He has been President of the Norwood Shade Tree Committee since 2008. In this position he has been responsible for overseeing the planting of hundreds of trees throughout the borough, work on a multi-year habitat restoration project along the Darby and Muckinapates Creeks near the Morton House in Norwood, the opening and continued operation of the Norwood Community Garden and other projects. Gerry is involved in the initial activities of the habitat restoration of the newly acquired DCVA Folcroft property that borders the Muckinpates Creek. Robin Mann is an environmental advocate, active for years with the Sierra Club, and currently serving in her 4th term on their national Board of Directors. During her time on the board, she has served as the Club's national Vice President and President. Previously, she chaired the Sierra Club's national water campaigns for several years, working to strengthen regulatory protection for small streams and wetlands, and defend against efforts to weaken the Clean Water Act. She led Sierra Club Pennsylvania Chapter advocacy efforts for clean water during the 1990s, helping to secure improved wetlands and stream protections at the state level. She participates in various local environmental initiatives, and serves on the boards of a local environmental justice coalition and other community organizations in addition to DCVA. She holds M.A. 's in international relations from the Johns Hopkins School of Advanced International Studies and in economics from the University of California - Berkeley. Marty Milligan been a Darby Creek Clean up Captain since 1998. He is a commissioner for the Marple Newtown Recreation Department, Delaware County Parks and Recreation Board member and former Chairman of the Newtown Square Parks Recreation Board. He spent a good portion of his youth fishing, swimming and playing ice hockey on the Darby Creek, when the Philadelphia Flyers better known as the ”Broad Street Bullies” were winning Stanley Cup Championships. Peter Puglionesi joined the Board in 2013. He is currently President of Applied EHS Management Inc. which provides solution-focused safety, environmental, risk and emergency management services. He has a B.E. from Cooper Union and an M.S. from Rensselaer Polytechnic Institute in Chemical Engineering and is a Professional Engineer and Board Certified Environmental Engineer. He won a National Fish and Wildlife grant funded by the William Penn Foundation for a DCVA demonstration project using Rain Gardens to absorb runoff from streets involving installation of 8 rain gardens adjacent to streets and, with its Hav-a-Rain Garden local partner, 10 residential rain gardens. He is Co-Chair of the Haverford Township Environmental Advisory Committee, a Haverford Township Civic Association Board Member, Co-Founder of Friends of Haverford Trails and Hav-a-Rain Garden, and was on the Haverford Township Consulting Task Force for Haverford State Hospital which initiated the initial assessment of natural resources at the site which, after formal studies and planning facilitated by DCVA efforts, led to the preservation of over 120 acres of the 212 acre site for passive recreational use. TomRoy Smith became interested in the Darby Creek Valley at an early age. He began to attend DCVA meeting when the organization was founded. Tom was on the nominating committee that nominated DCVA board members for 20 years. He worked as an archivist for Upper Darby Township for 25 years. He enjoyed publishing a booklet on the history of Addingham and Garrettford, Pennsylvania from 1873-1912. Addingham is the area of Upper Darby west of the Swedish Cabin and Garrettford is east of the Swedish Cabin. Tom developed a love of Quaker heritage and for many decades has portrayed William Penn in costume and delivered talks on Penn. Tom has written articles for the DCVA quarterly The Valley for many years. His column is called “Cricker Corner”. He writes mostly about his boyhood playing and exploring around the Darby Creek and about the history of the Darby Creek watershed. Mary Westervelt taught many subjects - among them, English as a Second Language, Linguistics, Spanish, and Technical Communication - while trying to fit her passions for gardening and the environment into her spare time. In 2013 she began work on a Master of Environmental Studies degree at the University of Pennsylvania, graduating in 2016. Mary is Environmental Stewardship Coordinator at Trinity Presbyterian Church, Berwyn, PA and chairs the Environmental Advisory Council of Tredyffrin Township. She joined the DCVA Board in 2018. Mary is the author of Nature that Nurtures.